A100-390 of No.1 Air Trials Unit. C-GSYR freshly arrived from Australia, at Vancouver - CYVR. C-GSYR a few months later, still at CYVR. • A100-390 Royal Australian Air Force on 17th October 1960, with serial A100-390. Assembled in Bankstown, Australia by de Havilland and powered by left over Wirraway Engines. 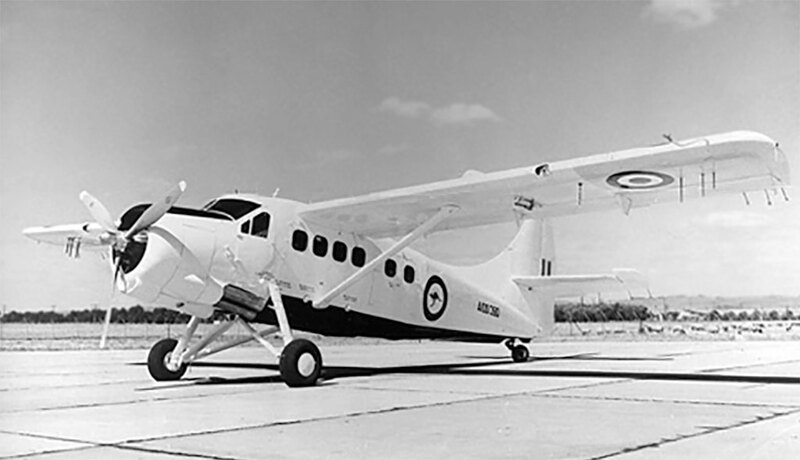 Operated by No.1 Air Trials Unit, who operated what was known as the Range Air Taxi Service (RATS), supporting the Weapons Research Establishment at Woomera. • VH-UPL Australian Department of Supply. Regd 29-Sep-1967. Canx 25-Aug-1980. Still used at Woomera. The following entries preceded by dates are extracts from Canadian Department of Transport archives. 02-Apr-1981 Allotment of C-GSYR to DHC-3 msn 390 for Bannock Aerospace Ltd.
02-Apr-1981 Application for Certificate of Registration by Bannock Aerospace Ltd., Toronto ON. • C-GSYR Bannock Aerospace Ltd., Toronto ON. Regd Apr-1981. 09-Apr-1981 Test flown for Certificate of Airworthiness by G. Wesley Watson. 29-May-1981 Certificate of Airworthiness issued. 29-May-1981 Certificate of Registration issued to La Ronge Aviation Services Ltd., La Ronge SK. • C-GSYR La Ronge Aviation Services Ltd., La Ronge, SK Regd 14-Jul-1981. Accident. Waddy Lake, SK. 23-Jun-1981 Aborted take off when airspeed lost, landed heavily on water and ran 50 feet up into bush, caught fire and burned. John E. Bidwell and passenger escaped uninjured. 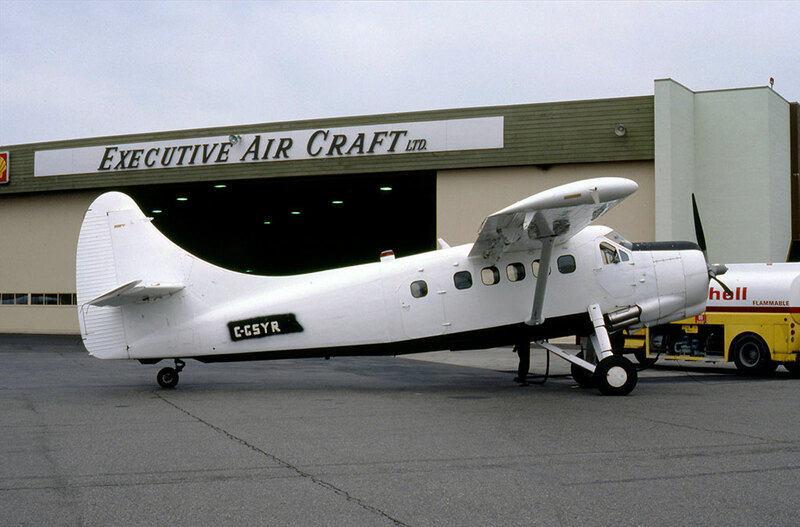 • C-GSYR Cancelled from Canadian Civil Aircraft Register. 14-Jul-1982. Well that didn’t last long! (Comment from Ian MacDonald who extracted the info). An example of the sparse data available to us when only the HQ file is available, compare with all the detail for msn 375, where both regional office and HQ files are archived. 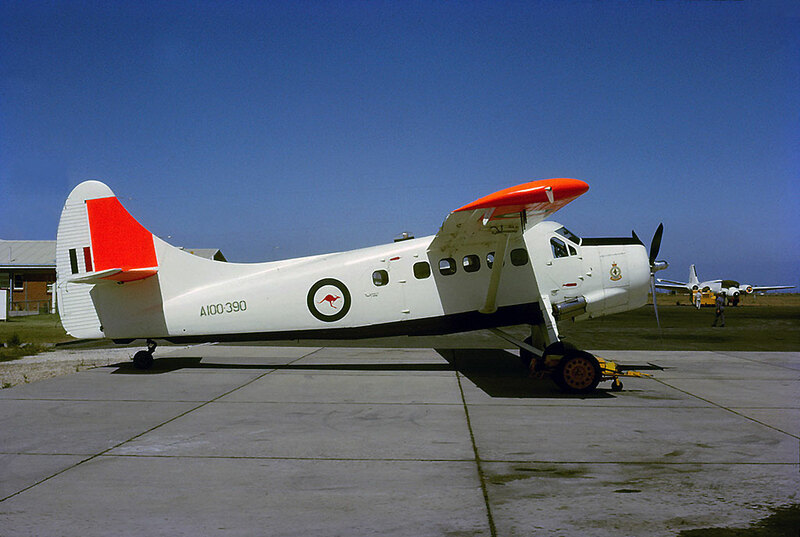 Otter 390 was delivered to the Royal Australian Air Force on 17th October 1960, with serial A100-390. On the same day, Otter 392 was also delivered, with serial A100-392. Both Otters were packed into crates and shipped to Australia, where they arrived during February 1961 at Bankstown airfield near Sydney, where they were re-assembled. The two Otters had been acquired for the specific purpose of supporting the Weapons Research Establishment at Woomera, and were flown by personnel of No.1 Air Trials Unit, who operated what was known as the Range Air Taxi Service (RATS). The Otters were used to place and retrieve observers at down-Range instrumentation sites for the various test firings that were carried out at Woomera, to track down expended missiles and target aircraft and on general purpose duties. They were modified to take three hundred pound drop loads on racks under each wing, and had attachments on the fuselage and undercarriage for carrying long loads of up to 1,600 pounds. The two Otters were operated by the RATS until No.1 Air Trials Unit disbanded on 30th September 1967, and were then transferred to the Department of Supply, 390 becoming VH-UPL, registered on 29th September 1967 and 392 becoming VH-UPM, registered on 16th October '67. Despite their transfer to the civil register, they continued to support the Woomera Range, and were operated on behalf of the Weapons Research Establishment by Shorts Air Services. Their operation was now termed the Range Ferry and Recovery Service. The functions of the Department of Supply were taken over by the Department of Defence, to whose ownership the two Otters were transferred, but the Range operation continued without incident until late 1978, when there was no further need for the service with the rundown of the Range. The two Otters were put into storage at Woomera and in mid 1979 were declared surplus and put up for sale in June 1980, together with three Alouette III helicopters which had also been in use at Woomera. At the time of sale Otter VH-UPL (390) had 6,029 hours on the airframe and VH-UPM. (392) slightly less, with 5,815 hours. The two Otters were purchased by Bannock Aerospace Ltd of Toronto for $61,592 (Australian dollars) each, the low price reflecting their remote location, and on 7th August 1980 were flown from Woomera to the Hawker Pacific facility at Bankstown airfield, to be crated for shipping to Canada. The Australian registrations were cancelled on 25th August 1980, and twenty years after they had left, both aircraft arrived back in Canada, on 4th November 1980 at Vancouver on board the ship 'Austral Rainbow'. The two Otters were taken from the harbour to the Vancouver International Airport, where they were re-assembled by West Coast Air Services. 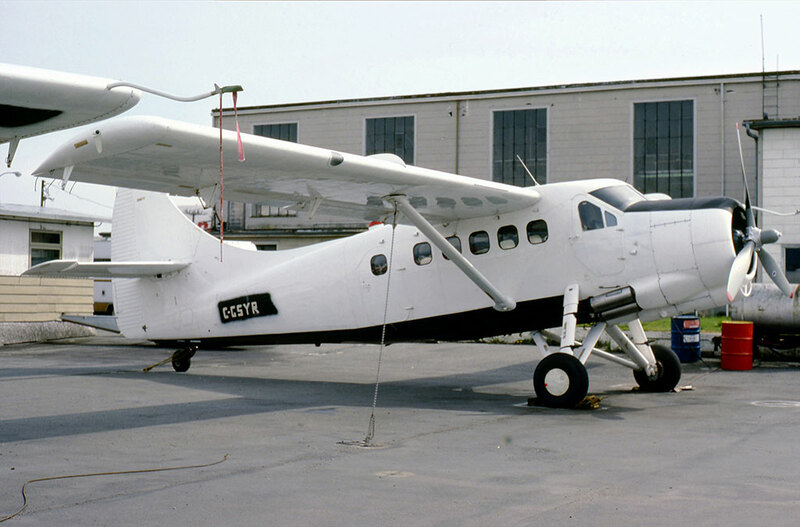 On 1st April 1981 Otter 390 performed a test flight at Vancouver and the following day it was registered to Bannock Aerospace Ltd., as C-GSYR. 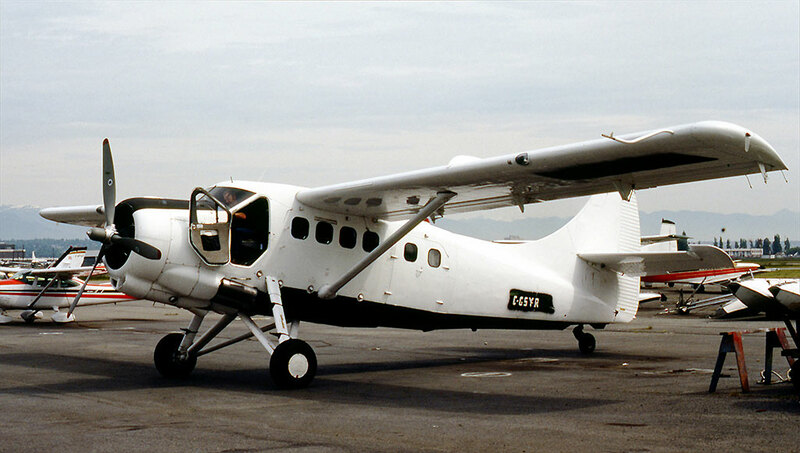 By Bill of Sale dated 29th May 1981 the Otter was sold to La Ronge Aviation Services Ltd., of La Ronge, Saskatchewan and entered service with them, based at La Ronge. Its period of service was very brief, alas, less than a month. On 23rd June 1981 C-GSYR was taking off from Waddy Lake, Saskatchewan en route to Nistoassini Lake. After take off from a small bay, the Otter lost airspeed. Unable to climb or turn, the pilot elected to land straight ahead, striking the water heavily close to the shoreline. The Otter continued forward some fifty feet into the bush, before coming to rest. It then caught fire and was completely destroyed, although the pilot and his one passenger escaped. A thunderstorm had passed through the area beforehand, and may have caused an undesireable wind change during the take-off.